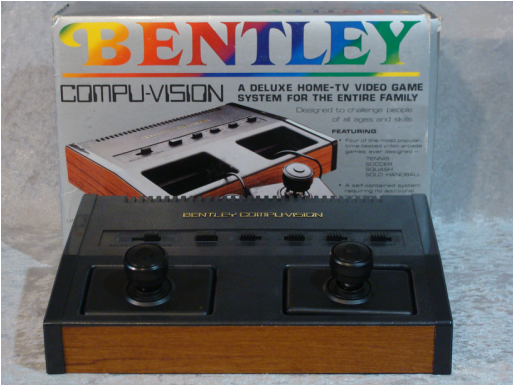 The Bentley Compu-Vision is a pong console manufactured in the USA and released in 1983 at the end of the production of pong style games in the retail market. It has two wired controllers and features four games (Practice,Squash,Soccer and Tennis). The game graphics are in black and white.